Reviewing the Master CleanseThe Lemonade Detox diet first became effective, strangely, when its creator, Stanley Burroughs, recommended it for the healing of stomach ulcers. In his book « The Master Cleanser », he goes on to share how he first came to test the Master Cleanse diet on a patient who was suffering from ulcer for three years. Left with no other recourse, the patient approached Stanley who recommended that he undertake the cleanse. After eleven days, the patient was totally healed to the amazement of the doctors. Many other cases followed with same consistent and astounding results corrected within ten days. Of particular note also was that those undergoing the Master Cleanse also experienced a reduction in weight. If there have been doubts as to the veracity of Stanley Burrough’s claim of the Lemon Detox diet’s effectivity, there have been testimonies over the years of its efficacy. Of recent vintage is Tom Woloshyn’s work, « The Master Cleanse Experience », published by Ulysses Press in 2009. This book briefly mentions Woloshyn’s experience in advising clients who has undergone the Master Cleanse program and provides among other insights health benefits which include better sleep, positive outlook, clarity of mind and freedom from addictions. He, thus, advocates keeping a journal to monitor developments as well as a reference for future use when undergoing the program for the second or many more times over. Surrendering to the processUndergoing a detox diet is just like preparing for a marathon. It is necessary to keep sight of your goals or you stand to be cast in the wayside, a victim of your doubts. Tom Woloshyn offers this delightful insight when encouraging first timers who wish to undertake the Master Cleanse, fully knowing its side effects firsthand. Defining the outcome after having identified where you are, and what you want to achieve is the next step to achieving the goal you have set for yourself. According to Woloshyn, some people prepare themselves before undergoing the detox by going on a vegetarian diet. It’s less stressful on the body and makes the transition to the Master Cleanse easier. For those who regularly take coffee or soda drinks, a gradual reduction in intake are recommended as well as taking pantothenic acid (vitamin B-5) to help prevent the onset of headaches brought about by caffeine withdrawal. 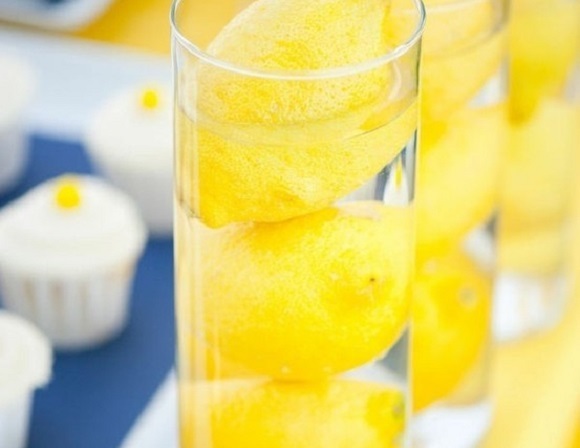 How to do the Master CleanseThe Lemon Detox diet is a cleansing program and encourages only the intake of lemonade made from the following ingredients: lemons, pure maple syrup, cayenne pepper and water for a minimum of ten days only. The lemonade recipeThe original recipe by Stanley Burroughs produced fantastic results for almost 50 years. However, some have been promoting alterations of the original recipe. The problem with this arrangement is that they are done without understanding why the original ingredients work. Since the Master Cleanse is essentially a juice fast, adding shakes, cayenne pepper capsules or protein powder in an attempt to improve its efficacy is self defeating because it reduces the efficacy of the diet. The purpose of the program is to give the digestive tract a ten day vacation, so adding things to be digested does not contribute to the objective of the diet. Stanley Burroughs in fact discourages the intake of supplements and vitamins during the program because it interferes with the body’s elimination system. Furthermore, the natural sources of vitamins and minerals already found in lemonand the maple syrup already provide for the body’s needs during the detox program. Tom Woloshyn fondly recalled Stanley Burrough’s remarks. He was said to have repeated many times over a phrase most technical people use when instructing frustrated customers, « When all else fails, follow the instructions. » In order to ensure success and experience the benefits of the Master Cleanse Detox diet, it is essential to understand how to do the program properly. Faithfully following what has been prescribed is the first step in this direction.